The Friends of Wyalusing was formed in the late 1990’s. The organization had 16 members. 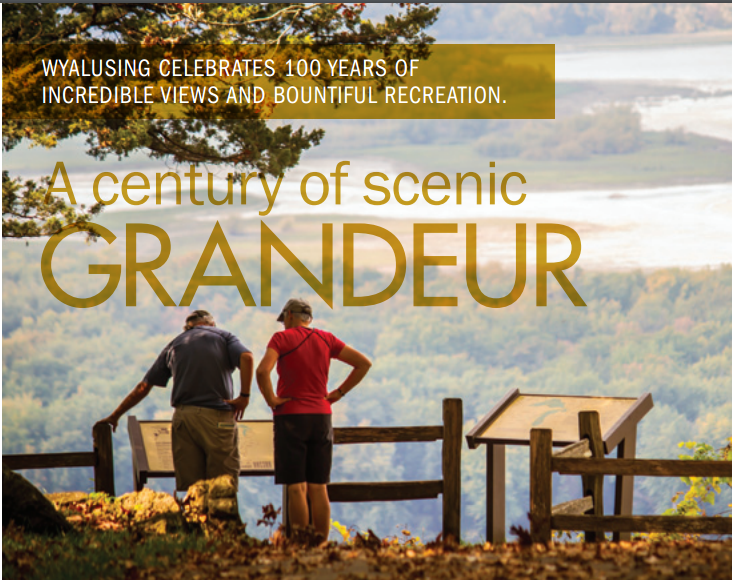 Since its inception, the mission of the Friends of Wyalusing is dedicated to supporting and enhancing the visitor experience by enhancing the connection between nature and the park visitor. Today, there are eight active members and a little more than 80 members on the roll. The Friends of Wyalusing made their presence known as “big Stinky” met its demise in 2001. The removal of Wisconsin’s largest open-pit toilet became a national event. The Friends of Wyalusing had its most successful T-shirt sales ever. Quite literally, a truck load of t-shirts were sold as a fund raiser. The Friends of Wyalusing made a cleaning that year. The Friends of Wyalusing also played a part in Wisconsin’s Centennial celebration of its Park system. Hundreds of people came to the park to see the launching of four hot air balloons. One of the balloons was a huge Smoky Bear. A decade later, the Friends group celebrates Smokey’s birthday. Smokey Bear leads children and adults around Wisconsin Ridge Campground inviting one and all to the birthday party held at the Peterson Picnic Shelter. Smokey rides in the back of the Park’s electric vehicle. Children decorate their bicycles. The Friends of Wyalusing, organize the event which ends with games, stories birthday cake and ice cream. One of “The Friends” most successful events was known as “The Spirits of Wyalusing Past”. Interesting, colorful, historical tidbits of the area are presented by ‘Spirits of Wyalusing Past’. The “Spirits” are portrayed by members of “The Friends” and other volunteers who have talent and a willingness to portray a character. It was moved to the last weekend of September in 2004, because of more favorable weather. Local scout groups and camping families decorate and carve donated pumpkins. The lighted pumpkins and lighted tiki torches were placed along the .5 mile trail part of which follows the Sentinel Ridge. The Friends of Wyalusing and family members served as guides. After the walk, home-made treats are served. A silent auction was also held during the event. Each of the items was donated by member of The Friends of Wyalusing. It was not unusual to have over 250 visitors attend this event. However, due to dwindling members who live close-by, The Friends of Wyalusing have found it very difficult to maintain this program. The “Spirits of Wyalusing Past” was changed to Harvest Fest. Harvest Fest still has pumpkin carving, Lighted tiki torch walk, a silent auction, and snacks. In place of the “Spirits” a live band plays music in the Peterson Shelter. During the early 2000’s the Friends of Wyalusing began to operate the concession stand in the east end of the Peterson Picnic Shelter. The concession stand operates during the summer camping season. All of the profits are returned to the park for projects which enhance the visitor experience. Through Affinity Grant Awards, matching funds and other grants, The Friends of Wyalusing have been able to provide almost all of the information signage, trail signs and nature signs found in the park, including the entrance sign welcoming all to Wyalusing State Park. Informational kiosks, found throughout the park, provide information about invasive species, Friends events, and park happenings. The Friends group assisted in the purchase of a new flagpole at the visitor contact station. The Amphitheater, located at the Hugh Harper Indoor Camp, was partially funded by the Friends of Wyalusing. A fireplace insert, located in the fireplace of the Nature Center, provides warmth to campers and park visitors during cool damp days thanks to the Friends group. The Friends of Wyalusing also provided funds for the major rehab of the Paul Lawrence Interpretive Center. The Friends of Wyalusing, through matching grants, paid for completely rewiring the Peterson Picnic Shelter, Nature Center, and the concession stand in 2014. The Friends of Wyalusing are very thankful for the 1000’s of people who visit the park and stop by the concession stand to purchase items, rent canoes or kayaks, or drop off donations. In 2014, The Friends of Wyalusing helped with the rededication of the Passenger Pigeon monument. In 2015, the Friends of Wyalusing State Park along with shared grants funded a new playground at Homestead Picnic area. 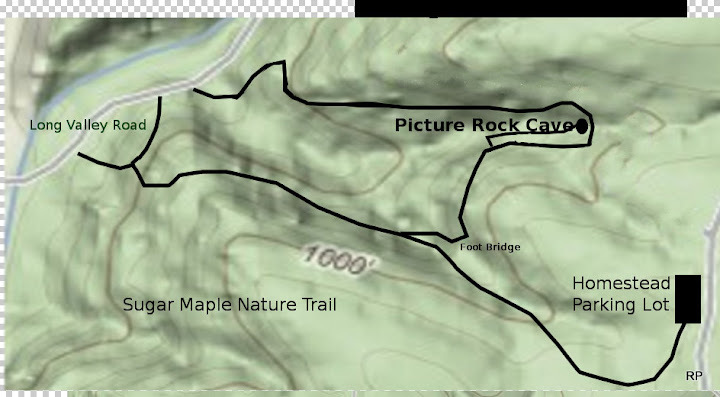 In addition to the Homestead campground. The website - www.wyalusingfriends.org features interactive maps, 100’s of photos, 10’s of videos, and information formatted for Web-enabled devices.